There are different organizations that have initiated recycling programs across North America. If you check with recyclingcenternear.me you can easily find out the nearest recycling centers or options available for you. Even some manufacturers of computers and other electronics may have their own programs, or partner with third-party organizations to take back used machines from their customers for recycling. So you should check with your computer manufacturer if they have allowed customers any recycling options. Earth911 partners with Dell among other computer manufacturers as well as organizations involved in more recycling programs across the country. One of their partners, call2recycle.org, is also another leader in the computer recycling sector. 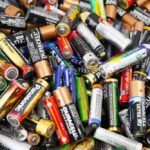 They mainly take care of battery recycling and you can check on their website too to find a drop-off location near you. There is a large network of organizations involved in the recycling business and wherever you live should still be able find an option for recycling computers.